NS&I’s latest Financial Advice Barometer shows that 70% of financial advisers are willing to advise on investment portfolios of £50,000 or less. The January 2018 survey also reveals that while most savers agree that portfolios of £50,000 or less are suitable for the industry to manage, there is still a misconception among some consumers that professional financial advice is for those with more extensive portfolios. While only 6% of financial advisers tend to advise on portfolios of £500,000 or more, some 14% of consumers would not think to use a financial adviser with anything less than that sum of money. NS&I’s research also shows that under 24s (15% of respondents) are currently consulting a financial adviser, but a third (33%) would do so in the future. While the clear majority of advisers would advise on portfolios of £50,000 or under, opinion is split over their role in actively supporting a savings culture, with 49% of respondents saying yes, there is more advisers can do to support a stronger savings culture and 51% saying no, there isn’t. Suggestions for how financial advisers could support a stronger savings culture focused on providing financial education and talking more about cash based savings. Meanwhile, the comments from those responding that there isn’t more to do to support a stronger savings culture, cited the business element of financial advice and the unwillingness of consumers to pay. The January 2018 survey recorded the highest score for advisers’ clients investing cash deposits in easy access products, at 59%, since the Financial Advice Barometer began in February 2016. 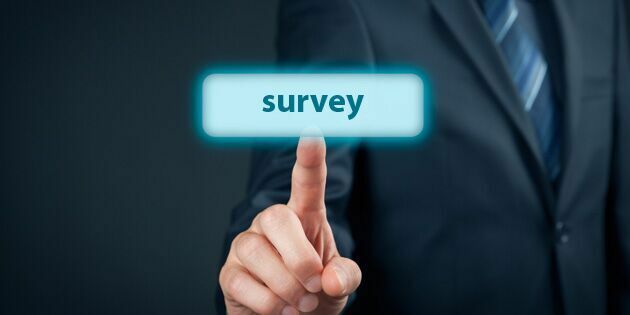 Conversely, the latest survey recorded a relatively low percentage of cash deposits being invested in fixed-term products, at 31% (the same figure as in October 2017), although these figures have remained steady since the survey began. Similarly, around half (52%) of British consumers keep over 90% of their savings in easy access products. Also reaching a high point in the January 2018 survey was the proportion of advisers that recommend that their clients hold a larger percentage of their investment portfolio in cash. 32% of respondents said that they recommend that their clients should hold 20% in cash, up from 23% in October 2017. Conversely, 27% of respondents in January said that they recommend that their clients should hold only 5% in cash, down from 33% in October. This suggests that advisers are recommending that a greater proportion of clients’ portfolios should be invested in cash deposits. When advising on fixed-term cash deposits, shorter terms are most popular now, with 57% of advisers currently recommending 1-year terms, an eight percentage point increase since October 2017. A majority of advisers would therefore recommend 1-year term products over any other term. Is NS&I the answer for those concerned about the security of their portfolios? It is not just easy access products that are becoming more popular. There has been an increase in the percentage of advisers responding to the survey who indicate that the FSCS limit of £85,000 has led them to advise clients to invest more money in NS&I products than they might otherwise do. This increase, up from 34% of respondents in October 2017 to 51% of respondents in January 2018, has coincided with a 15 percentage point drop in advisers recommending clients to spread their cash deposit savings around multiple UK financial providers (from 75% in October 2017 to 60% in January 2018). Overall, there has been a growth in advisers recommending NS&I products based on its 100% security guarantee since the survey began in February 2016, when a figure of only 31% was recorded in answer to this question. Likewise, consumers’ top priority for their savings is security, with 41% of British savers choosing security as their main priority over achieving moderate returns, achieving high returns, and achieving consistent returns. The feeling is mutual among the top and bottom savings brackets, with 41% of those with less than £1,000 saved and 42% of those with £100,000 or more saved, agreeing that security is paramount to their portfolio. “Many see the amount of savings they have as a barrier when it comes to seeking professional financial advice, but it is encouraging that advisers are more than happy to advise on £50,000 or less, with almost 40% saying that they would advise on £25,000 or less. Read more articles from Standard Life (copy).